The anniversary edition kind of makes me feel old. Seriously, having a 20th anniversary edition of an album that you are still listening, makes you think “have 20 years passed since then?” Indeed, they have and in this occasion the ultimate progressive Metal band QUEENSRŸCHE is celebrating the triple platinum album “Empire”. For some this album is inferior to the previous monolith “Operation: Mindcrime” but can one really choose between those two releases? Since their formation, QUEENSRŸCHE have divided their fans into two parties; the old-school and the progressive thinking ones. The first accepts the Washington based band until the excellent concept (in some occasion even before that), and the second feels fine with their latest almost Rock directions. But “Empire” simply stands in between, maintaining all the Metal virtues beside the Rock layers, giving birth to songs like “Jet City Woman”, “Best I Can” and the most melodic “Another Rainy Night (Without You)” among others. 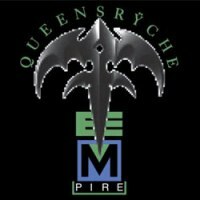 “Empire” seems to have everything; from the always up-to-date concept (I think it fits better the days we are living in), the killer melodies and the trademark Chris DeGarmo / Michael Wilton riffage that blows your mind in every corner. Geoff Tate sounds to my ears at his best form having a slightly lower pitch from the first QUEENSRŸCHE days and gives a such expressional and theatrical performance that was meant to dominate the albums and the concerts that followed. This extended version features the remastered edition of the album that I don’t think has a better sound from the original, since “Empire” had the perfect production. One of the three bonus tracks is “Last In Paris” from the “Ford Forlaine” soundtrack that is a typical Metal/Rock song that could be from “Hear In The Now Frontier”. The second one is “Dirty Lil’ Secret” that I enjoyed the most with the slide guitar and the nice almost southern groove that spice things up. Last but not least is a cover on SIMON & GARFUNKEL’s “Scarborough Fair” that I dare to say sounds better than the original mostly because of Tate’s hair raising vocal performance. The second CD features a previously unreleased recording from the band’s show at London’s Hammersmith Odeon in 1990. The recording is very good and raw featuring some scattered errors in the backing vocals and in the microphone sound but it manages to captures the band’s moment that period of time. The setlist is kind of short but comprises most of the band’s hits at that moment.